I can briefly re-cap the challenge day with a picture representing my personal Col l'Aubisque: feathers. Dyed feathers. I first looked up some technique in the book: Spinning Designer Yarns by Diane Varney. (a must have for spinners - don't you think?) 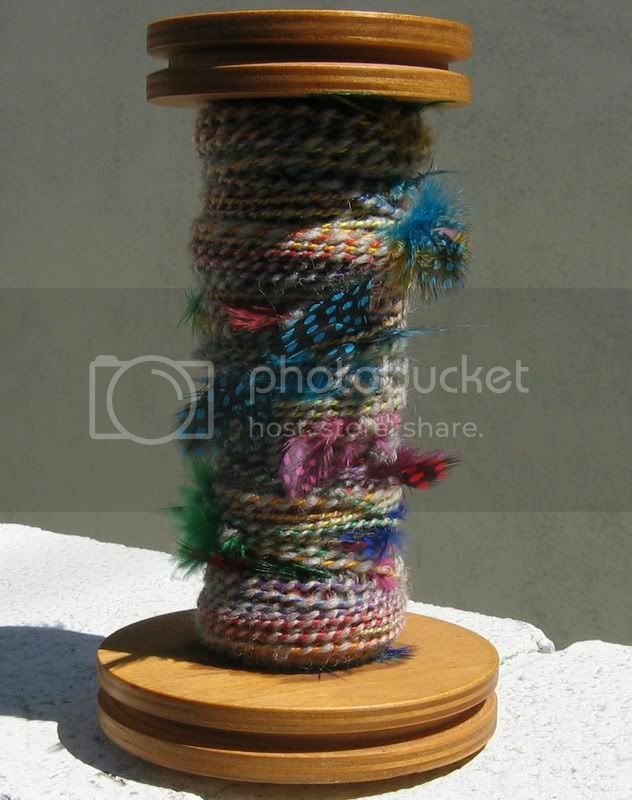 The book confirmed what I thought: 2-ply yarn, trapping the stem of each feather in a coil. 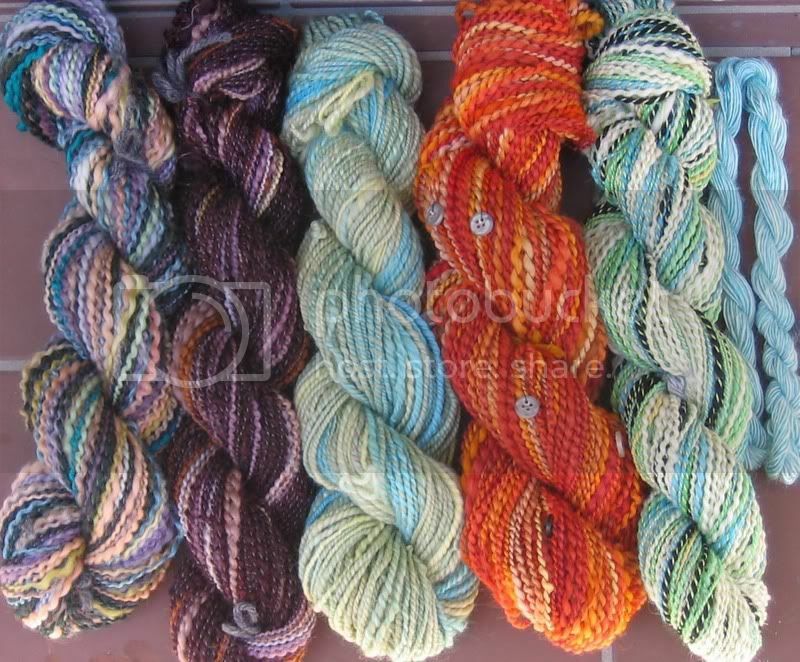 Plus it's a rainbow yarn, just for the wow factor. It's a fandango yarn for sure, but I'm nervous about setting the twist. I don't want to ruin the feathers by getting them wet. I'm hoping a little steaming will do the trick. My unsolicited advice: way over-spin the single first, so you don't over-ply while doing your coils. That is if you desire spinning with feathers. Perhaps nobody else would. I accept that. Now that we are just a couple of days away from the finale, I hope le Tour is going well out there... I believe it is! The Flickr pool is full and so is the Craftster board. We have a flat stage on Friday, a decisive time trial on Saturday, and victory laps around the Champs-Élysées on Sunday. That is all for today. Tour de Fleece Opening Day!